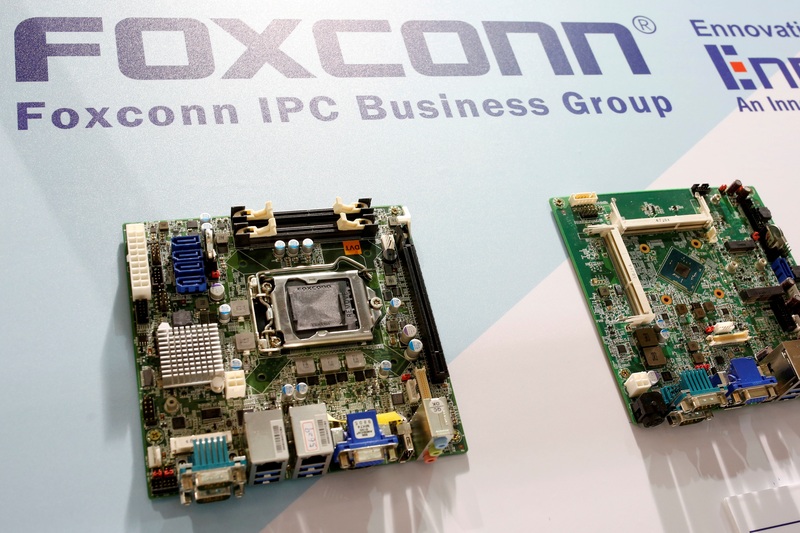 A one-off gain flattered quarterly results from Foxconn. But margins slid as the Taiwanese group grappled with rising expenses and the late release of the flagship iPhone X. No wonder boss Terry Gou is looking to cut the group’s heavy reliance on its Californian customer. Foxconn's computer motherboards are seen during the annual Computex computer exhibition in Taipei, Taiwan June 1, 2016. Foxconn, the world’s largest contract electronics manufacturer, said on March 30 that earnings for 2017 totalled T$139 billion ($4.8 billion), on operating revenue of T$4.7 trillion. For the fourth quarter, earnings rose 4.2 percent year-on-year to T$71.7 billion, according to a Reuters calculation. On March 27, Hong Kong-listed subsidiary Foxconn Interconnect Technology said it had agreed to pay $866 million for Belkin International, a U.S. maker of wireless chargers, smartphone cases and other electronics accessories. Belkin founder and majority owner Chet Pipkin will become chief executive of a new subsidiary of the buyer, which is also known as FIT Hon Teng. On March 8, subsidiary Foxconn Industrial Internet won approval for an initial public offering in Shanghai, just weeks after filing its application. Shares in Foxconn, known formally as Hon Hai Precision Industry Co, stood at T$89.10 by mid-morning in Taipei on April 2. The stock has fallen about 6.4 percent so far this year, Eikon data shows.